One of the best kept secrets for the skin is yogurt! Yes, yogurt! 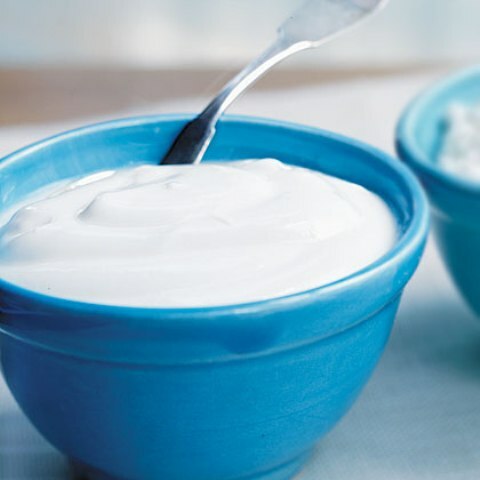 Yogurt has been used for centuries as a cleanser for the face and skin. The lactic acid in the yogurt soothes, softens and tightens the skin (great for sagging skin). It refines the pores and is high in nutrient content. The natural antibacterial and anti fungal properties also get rid of the germs and harmful bacteria on the skin, leaving a smooth baby soft skin. It is a great treatment for people with dry skin since the yogurt is thick and creamy compared to regular lotions and moisturiser. But what about acne? Can it reduce acne and the redness caused from acne? Yes! The zinc in yogurt is a great way to fight acne. Yogurt adds enzymes and oils to the skin, working as a natural moisturizer. Avoid yogurts that are flavored. Try only plain yogurt. That is important since the flavored yogurt might have preservatives and might irritate the skin instead of helping it. Apply it three to four times per week (it is best to do this in the morning) for about 10 to 15 minutes. Be sure to remove any makeup before doing applying the yogurt cleanser.